John and I shared a lovely dinner with Mindy and Ken using the last of the morel mushrooms a few weeks ago. We walked over to Hyde Park Produce to purchase fresh pasta, asparagus, and ingredients for a cream sauce. There are a multitude of things that I will miss about Hyde Park when my eventual move to a new neighborhood occurs, but Hyde Park Produce vies for the top of the local establishment list (contending only with the Florian Caffe). For the pasta we chose long, plump strands of fresh cavatelli. 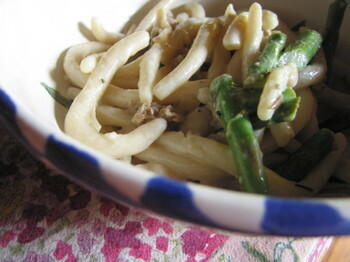 This thick pasta perfectly complemented the asparagus both visually and texturally. We wanted to create a cream sauce that would complement the luscious taste of the morels without overpowering them. Through a bit of research we concocted our own recipe. Rinse and chop morels. Melt 3 Tbl butter in a saucepan over medium heat. Add morels and saute until water has leached out and mostly reabsorbed. Remove morels from heat and set aside. 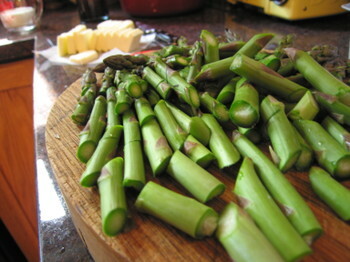 Blanch asparagus in boiling water for a few minutes, remove when just undercooked (before turning bright green.) Set aside. In a large and heavy skillet simmer 1 C of the white wine, lemon juice, and shallots until reduced to a few tablespoons. Add the cream and simmer for one minute. 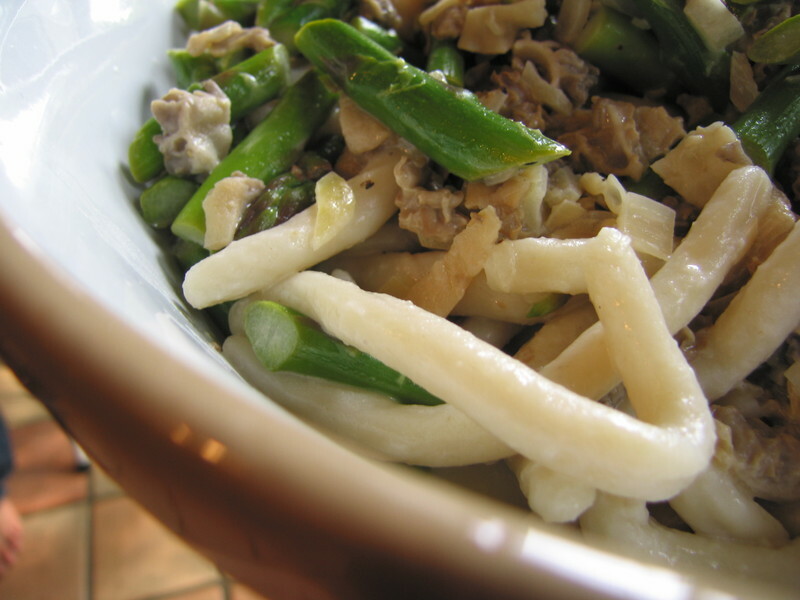 Add 1/2 C of white wine, the morels, and asparagus and simmer for about 5 minutes. Add 3/4 C butter and whisk constantly over medium-low heat until creamy. Remove from heat once incorporated. Do not over cook. Salt and pepper to taste. 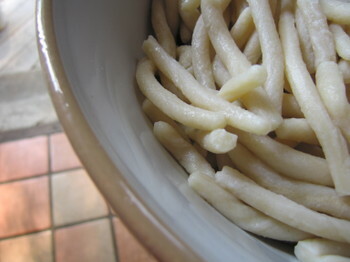 Cook 1 1/2 lbs pasta as directed and cover with the warm morel cream sauce. Serve and enjoy.